Time of year: September (not the best time of year to make the ascent due to potential inclement weather/rain). Stay: I stayed in a cabin at Glacier Campground just outside the West Entrance of the park. Great place to crash! Friendly staff, minimal, but cozy cabin. 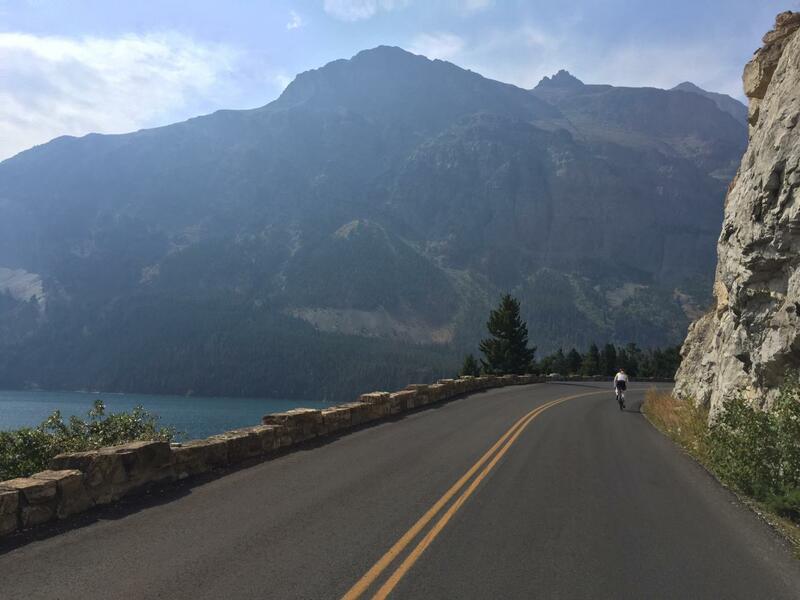 Route: I started my ride from the West Glacier Village just as the sun started to peak out and ended at Logan Pass. The first part of the ride from the start point to the switchback was easy going and a gradual elevation increase. Traffic in the early morning hours was very mild, which made for a beautiful, quiet warm up before the obvious grade increase from the switchback to the summit. However, traffic picked up rather quickly during my climb. The road is narrow, so it is wise to be alert to traffic coming from both directions. I also recommend a front and rear flashing light because of the clouds/fog that can settle in and hinder visibility. I would also ask about road construction well in advance. Road construction in the park is fairly routine. It started to rain the last 3 miles of the ride. Rain quickly turned to sleet. Needless to say, I was very wet and cold by the time I reached the top and hopped on the shuttle to go back down. Regardless, I wouldn't change a thing! It was a great challenge! The views are captivating and breathtaking. The smell of the mountain air and the sound of the many small waterfalls and run off made the ride that much more delightful and exhilarating. One can never go wrong in Glacier National Park; no matter how you are getting around! I practically grew up in the park as a kid, so I have a deep rooted love for it and its many wonders.